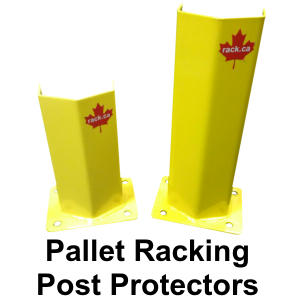 Guardrails & Post Protection – Canadian Rack Inc. 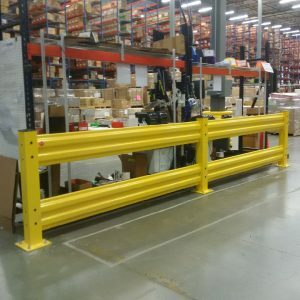 Protect your people and your property with Canadian Rack and Cogan guardrails, safety rails and rack protectors. The tough-as-nails construction works around the clock to keep your workplace safe, productive and profitable. Every employee has the right to a sound work environment free from occupational hazards that may cause injury. Install a Cogan guardrail system and stop accidents in their tracks. Simple to assemble, all of our guardrail solutions reduce costly installation charges and interruptions. You benefit from a safer working environment that protects your people, products, profits – securely and reliably. 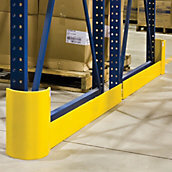 You can count on Cogan guardrail to direct traffic in your warehouse and increase safety, efficiency and productivity.